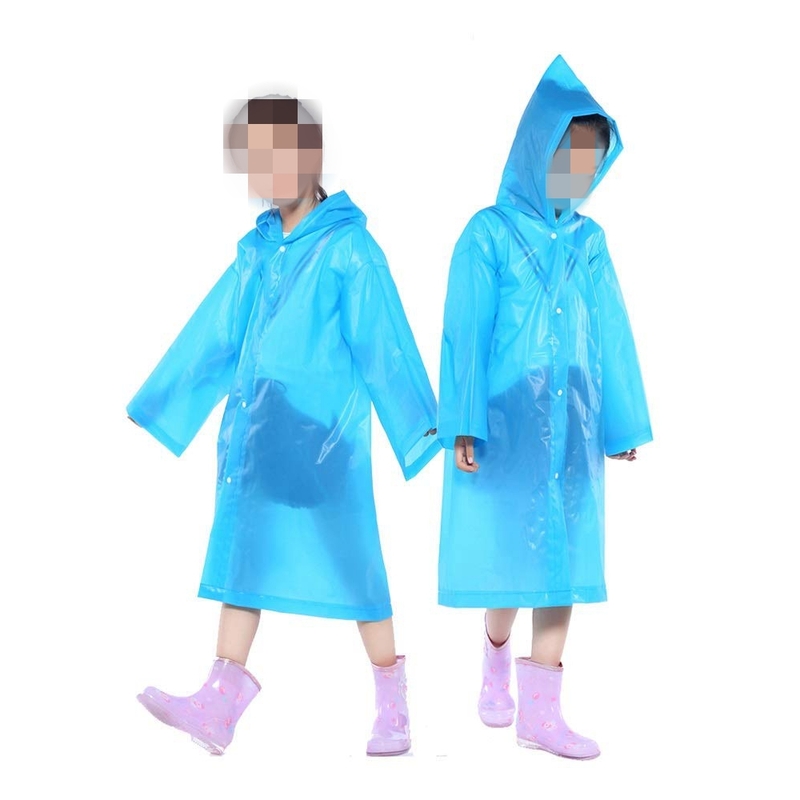 Children's Rain Ponchos Portable Reusable Raincoats leads you into a fashion style. New EVA material, Reusable Rain Poncho , waterproof, lightweight and quick dry.Practical style, button closure, easy to put on & off, folded and wrapped very conveniently.This is a durable and Reusable environmentally friendly Rain Ponchos . No-smell & soft touching,scratch resist. Strong toughness brings tear resistance. 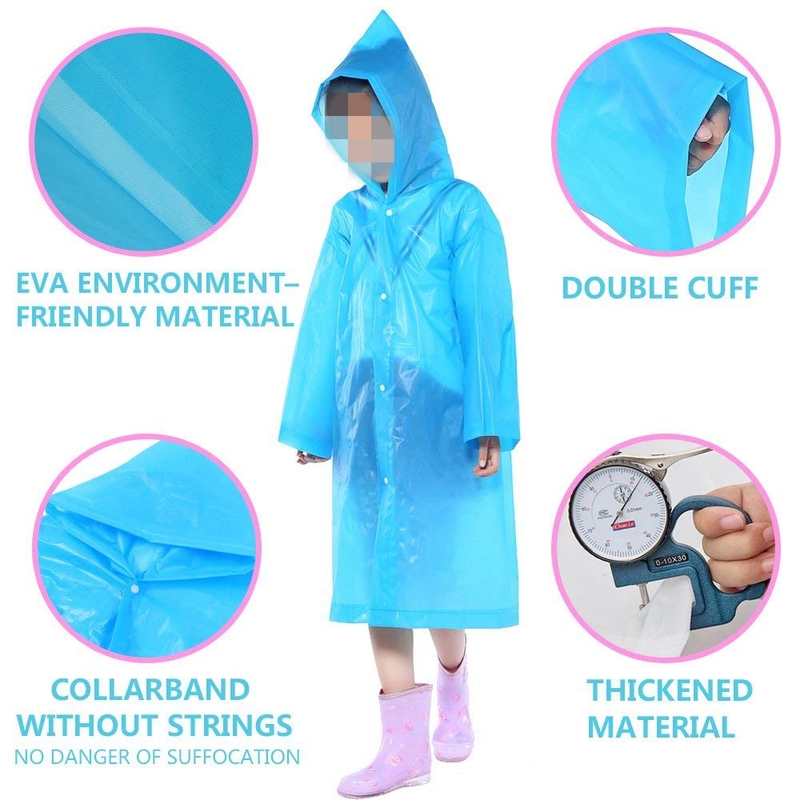 would be good companion for outdoor play, outdoor travel, camping, walking etc.It is a Rain Ponchos for kids that they can wear while carrying a backpack on the back to school or go out to play. Comfortable cycling or running. Windproof, waterproof, soft Raincoat with hoodie outwear is easy to wash and quick dry. 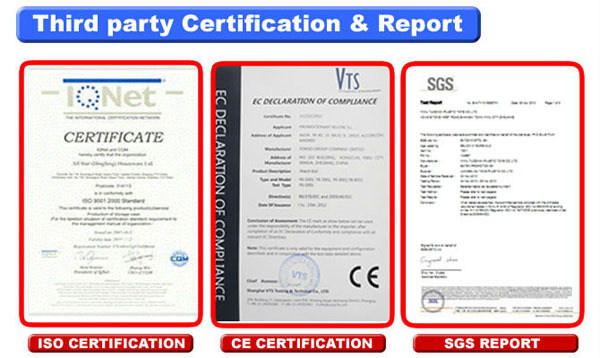 Non-toxic environmentally friendly materials to protect children's health. 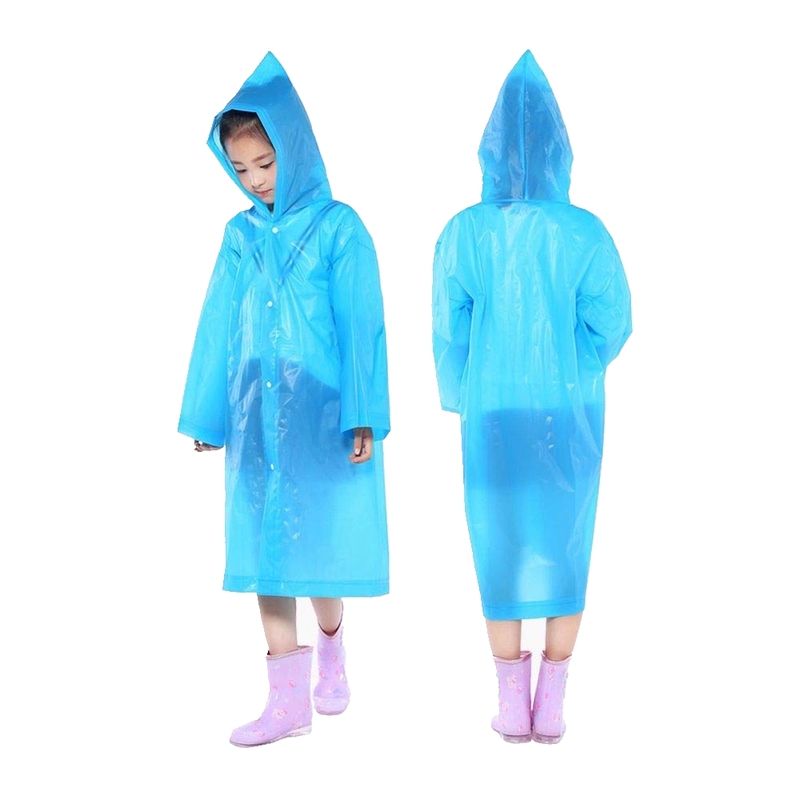 Looking for ideal Children's Rain Ponchos Manufacturer & supplier ? We have a wide selection at great prices to help you get creative. All the Environmentally Friendly Rain Ponchos are quality guaranteed. 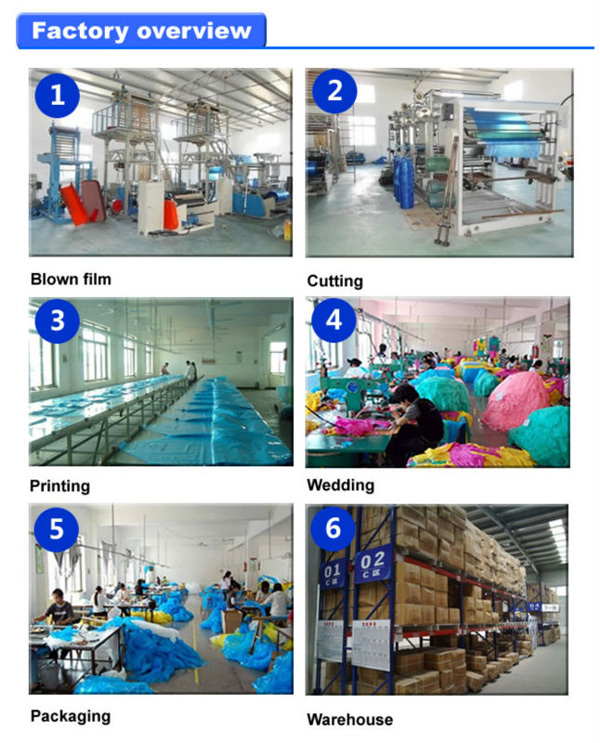 We are China Origin Factory of Portable Reusable Raincoats. If you have any question, please feel free to contact us.